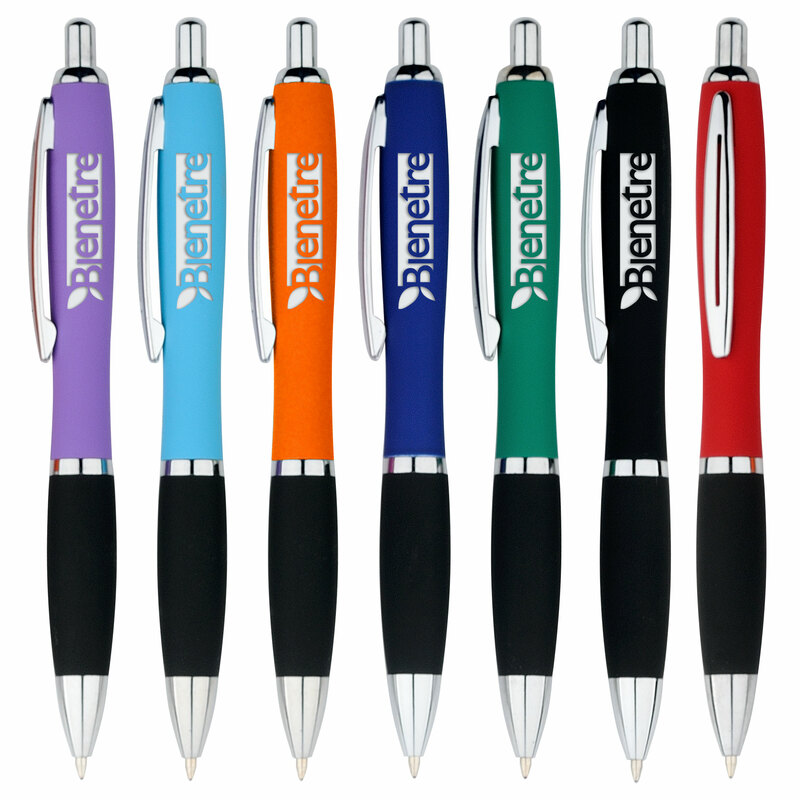 Click action ballpoint pen with rubber like smooth touch barrel, chrome clip & chrome accents. 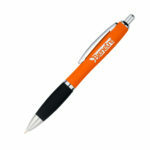 Price includes 3 lines laser engraving on barrel. Black ink refill.